McKenna Hensley got into 10 colleges — each with its own distinctive financial aid offer. "It was very confusing," she says. "It makes a difference when you're paying yourself. You have to be extra careful." 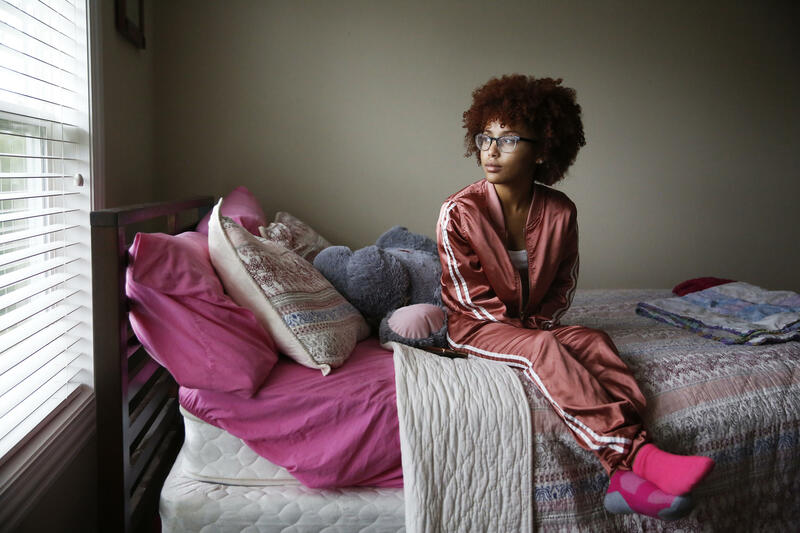 One letter sticks out in her mind: The school had bolded about $76,000 in the upper-right corner of its offer. She remembers smiling really big and thinking, "I got a lot of money!" But when she looked a little closer, she saw that the big number included loans. Hensley was determined not to borrow. She took the letter and added up all the costs of attending, then subtracted the grants and scholarships and found she was still about $30,000 short. 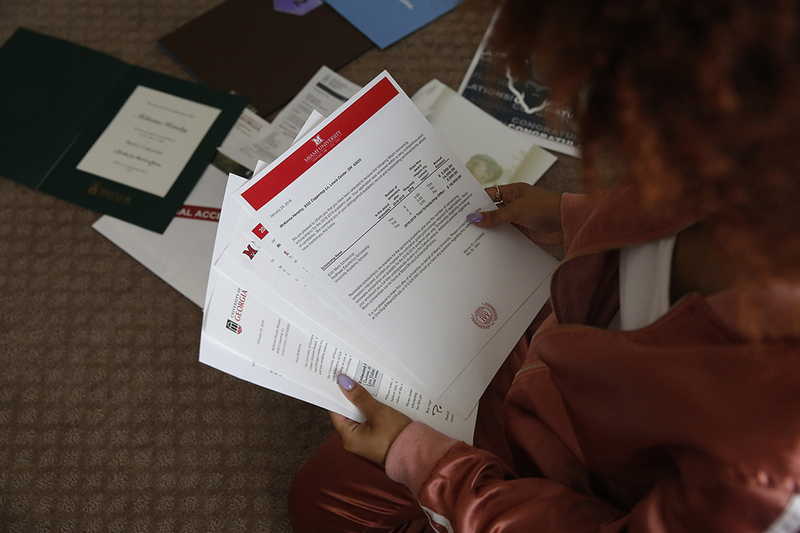 Hensley looks through her college acceptance letters and financial aid offers. "I was like, 'Oh, you almost got me!' " she says, laughing. " 'This is a bad deal.' "
Hensley ended up enrolling at Ohio State University, where scholarships and grants covered everything, but the roller coaster of emotions from her financial aid offers still feels very fresh. "You'll feel like you have a whole bunch of money," she says, "but you don't." Right now, students across the United States are in the process of choosing where to enroll. For many, that decision is closely tied to a college's financial aid offer. But with no current standardization of these offers, letters look vastly different from one school to the next. They're often filled with confusing terms, and the numbers are all over the map. "I think anyone who's worked with students is just like, 'No, no, no, no, no. What a mess,' " says Rachel Fishman, a researcher at the progressive think tank New America. She helped co-author a report with the nonprofit uAspire that analyzed more than 11,000 award letters from about 500 colleges, most of which were four-year institutions. "It's really the Wild West when it comes to how these letters look," she says. And that isn't just an inconvenience for students and parents — it has lasting consequences. "This is a really critical moment. This is the moment you decide," says Laura Keane, uAspire's chief policy officer. "Students rely on these financial aid offers to make their decisions." It's also when students first weigh their options with student loans, which can follow them well into adulthood. 1. There is a lot of jargon and terminology. Take something like the Federal Direct Unsubsidized Loan, which often appears on award letters. To be eligible, students simply have to fill out the Free Application for Federal Student Aid, or FAFSA. Researchers found that colleges referred to this loan 136 different ways in their financial aid letters. Some colleges didn't even use the word "loan" — they called it "Fed Dir Unsub" or just plain "Unsubsidized." Many of these weird names stem from the software that schools use to generate letters, Fishman explains. Still, she says, "it's just such a damning example of even the smallest thing that should be really simple — there are so many institutions doing different things." 2. More than a third of the schools didn't include how much it would cost to attend — only how much the student was awarded. "The first thing you're trying to figure out is, 'What the heck is this gonna cost me?' " Fishman says. "You're looking around for this number, and there's nothing." 3. Seventy percent of offers put all the aid together, so it feels like one big gift — like Hensley found in her letters. That aid included money from loans, even though students would have to pay that money back. Some schools lumped in things like work-study, which pays students as they work throughout the semester and doesn't help cover tuition when the bill is due at the beginning of the year. Nonprofits, school districts and guidance counselors help students, especially low-income students, navigate their letters. Hensley worked with a virtual adviser from the nonprofit College Advising Corps. That adviser shared a Google spreadsheet with formulas to help her compare schools. Hensley just had to scan the letters for things like total scholarships, grants, tuition and living expenses, then plug those numbers into the document. The tool performed calculations so Hensley could easily see which schools she'd still need money for. Many nonprofits offer similar calculators, and a handful of school districts have tools to help students sort through their numbers, like this one from District of Columbia Public Schools. At the national level, there's legislation to solve this problem. In March, a group of bipartisan senators — including Chuck Grassley, a Republican from Iowa — reintroduced a bill to standardize financial aid award letters. Students need to know how much it costs to go to college, Grassley told NPR, "not something that's cloudy and doesn't really turn out that way." Why shouldn't we bring as much truth as we can to the college process, he said. The bill would make offer letters look the same across schools, with standardized definitions and terms so students could easily compare them. Though there would be some room for customizations, it would be harder for schools to add superfluous information that could bury pertinent numbers, calculations or next steps specific to an individual's financial needs. Similar efforts have come up before. In 2012, the Department of Education created a standardized form for financial aid, then called the Shopping Sheet. But schools weren't required to use it, and according to the uAspire-New America report, many schools didn't. That standard form, now called the College Financing Plan, is undergoing a makeover. And while previous legislation hasn't gone anywhere in Congress, there's a lot more bipartisan support today. Tennessee Sen. Lamar Alexander, a Republican and chairman of the Senate's education committee, spoke about Grassley's bill when he outlined his priorities for new higher education policy in February. "I used to be against that because I'm pretty averse to federal rules," Alexander said in front of a packed room at the American Enterprise Institute. "With so many students receiving letters every year that do not make it clear what you have to pay back and what you don't, I think a requirement is a good idea." Attitudes at colleges and universities are also shifting. 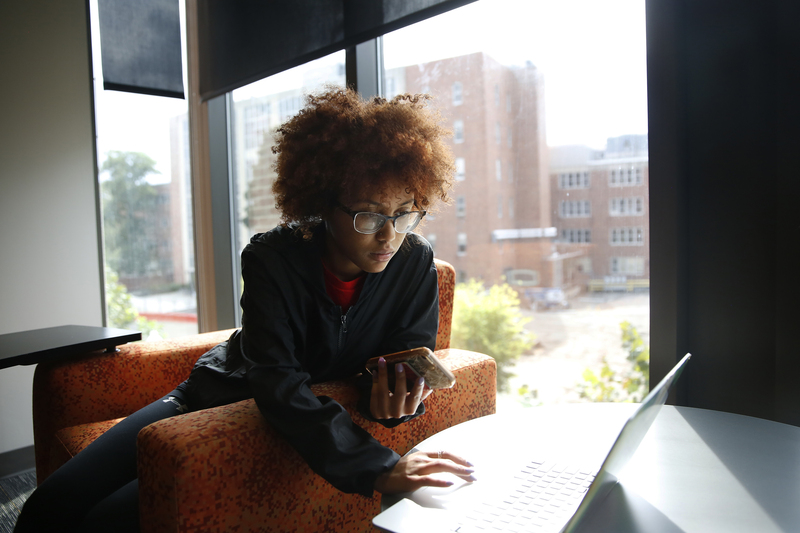 In the past, institutions balked at standardization — financial aid offers are a big part of how they entice students to enroll and convince them that their deal is the best one. But across the country, institutions have begun to re-evaluate how they present their financial aid offers. Colorado State University has undergone two revamps under Tom Biedscheid, assistant vice president of enrollment and access. "We thought we had an amazing letter before," Biedscheid says, but 2 1/2 years ago, he got a call from a frustrated high school guidance counselor: More than a dozen of her students had been accepted to the school, but based on their reading of the financial aid offer, not one was ready to enroll. "That was the moment we realized we needed to put some effort into making our offer easier to understand because it was the single most important document a student's going to receive," Biedscheid says. For the first remodel, Colorado State sent out letters that clearly defined direct and indirect expenses. It separated loans from the money that didn't need to be paid back, like scholarships and grants. And they eliminated loans that parents take out, called Parent Plus loans. This current admissions cycle, it added a glossary of terms at the end. Biedscheid says the number of questions from prospective students has gone down. He says it's important that there is consistency in the information that schools provide students, but he's worried that a standard federal form is the wrong answer. "Institutions vary greatly, and trying to communicate cost and aid in a one-size-fits-all fashion could cause more harm than good." The University of Iowa has also changed its letters. According to Sara Even, a senior associate director of financial aid, the school observed a frightening pattern about a year ago: First-year students enrolled in the fall semester were realizing in October that they didn't have enough money to pay their tuition bill. The financial aid office thought it might be able to address this by rethinking its financial aid offer letter. It worked in-house to design a branded letter that was personalized for each student. If a student didn't qualify for a Pell Grant or work-study, those weren't included in the letter. Like Colorado State, it removed the Parent Plus loan from its package. And it renamed a link on its student portal from "Loan Document Status" to "My Financial Aid To Do List." It was all an attempt to make terms more transparent and offer students clear next steps. "We need to be honest with our students even if that means ultimately they may not choose our school," Even says. After the redesign, Even says, Iowa's financial aid office received fewer calls and emails, and the questions have changed. They are less about the process and "How much do I owe? "; instead, they're deeper and more nuanced. They're the kinds of conversations that Even says she wants students to have now, instead of in August or September, when it's too late. The nonprofit behind the research with New America, uAspire, has been working with institutions to adapt lessons from Iowa and Colorado. "We've learned that it's not as simple as just changing something on a single page," says Keane, from uAspire. "It's really about transforming how to do student-centered financial literacy communication." And it's not just financial aid offices that need to adapt their language and framing, she says; it's also admissions, bursars and online student portals. All over campus, language should be more student focused and clear. An earlier version of this story incorrectly referred to the Federal Direct Unsubsidized Loan as the Unsubsidised Federal Student Loan.